When you’re a football fan, you’re committed to your favorite team, no matter what their record was at the end of the season. If they made it to the Super Bowl, you know you’ll be having a party to celebrate and show your support. But even if your team didn’t make it to the end this year, you’ll still be watching the big game — even if it’s just for the commercials — so why not throw a party to distract you from the fact that your team isn’t on the field? If you love hosting, planning a Super Bowl party may be a breeze! 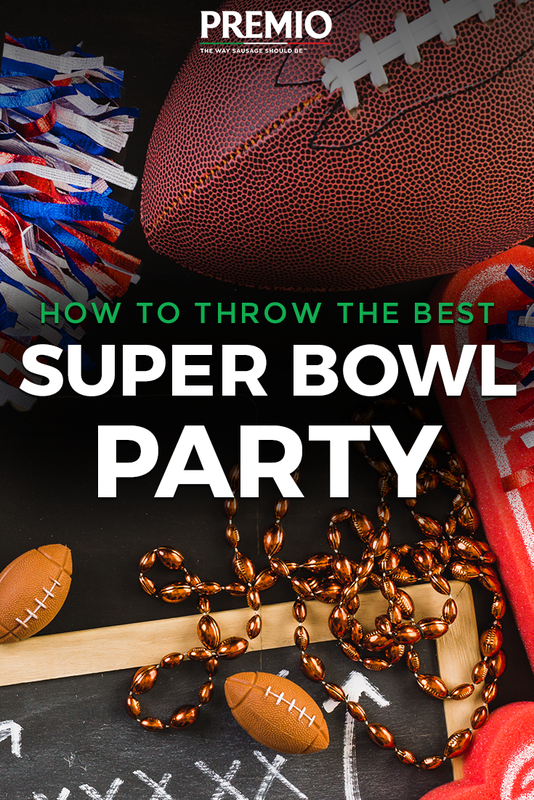 But, even if you throw parties often, you may have never thrown one for the Super Bowl. Here are three helpful tips on how to throw the best Super Bowl Party this year. There are many ways you can incorporate team colors into your party. Go as subtle or as over-the-top as you want! You can tell guests to wear their team’s favorite colors, or ask them to come decked out in the colors of which team they think will win the big game, to add a little fun competition. Get more creative by buying paper plates, napkins, utensils and other decorations in team colors to give your living room a more festive look. You can use the colors to send invitations to your party, if you were planning on being more official. Send an invite in the mail or ones via email — you can include some decorative elements and your team’s colors. When your guests receive them in the mail, they’ll get excited for the party right away! These are just a few ways you can incorporate team colors into your party. You can also come up with your own unique ideas to play around with the colors. On the day of the game, make sure to put out a few decorations. Decorating your space will add to the vibe of the party and help pump up your guests! Use serving trays in the colors of your team or ones shaped like footballs. Put out bright, football-shaped confetti on the food table. Look for other fun items like this in your local party store. You can also get a little bit crafty and make some DIY decorations. Make a football banner and little referee flag wraps for water bottles. You can use your creativity to turn your home into a football-fan’s paradise. The Super Bowl is a few hours long, so you’ll need to put out some food to keep you and your guests energized! You can’t go wrong by sticking with the classics — chili, sliders, chicken wings, pizza, meatballs, chips, dips and more. Depending who your guests are, you could always branch out! Don’t feel restricted by limiting yourself to which foods you think your guests want. Be sure to include options everyone attending will like. After that, you can get a little more creative. Make some stuffed mushrooms, unique cocktails or other foods that you think would be good, too! Check out some of our recipes at Premio Foods for holiday entertaining to get some inspiration. To buy Premio real Italian sausage in your recipes, use our store locator and check out some of our coupons online before heading to the store.